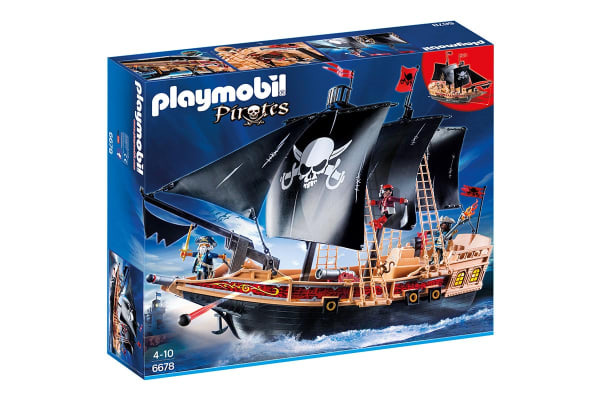 The Playmobil Pirate Raiders Ship is fastest ship on the high seas! Batten down the hatches and man the sails as the ship ventures into unknown waters. The working cannon can be fired at nearby enemies to protect the crew. 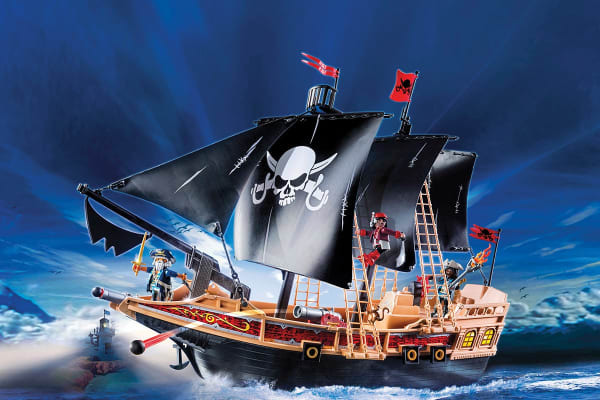 There is a hiding place for weapons and ammunition as well as a mobile functional cannon on deck. The anchor can be lowered with the help of the winch. 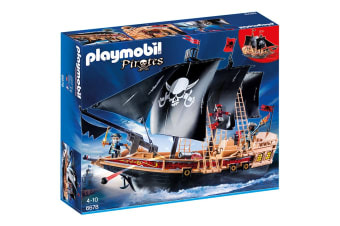 The ship can float on water or pushed along the floor with the equipped wheels.